Skye Gravestones | Iain & Evelyn (Trainer) Murray. Iain & Evelyn (Trainer) Murray. 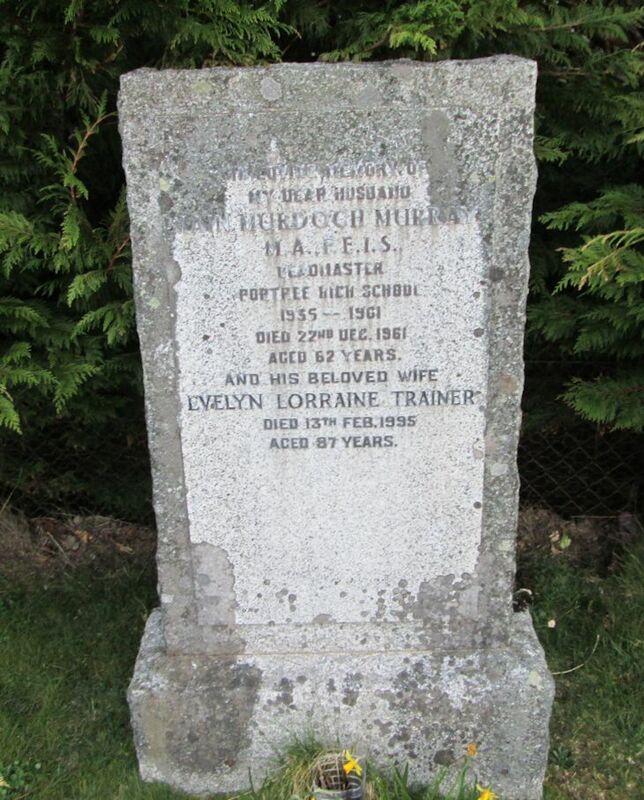 In loving memory of/my dear husband/IAIN MURDOCH MURRAY/M.A., F.E.I.S./headmaster/Portree High School/1955-1961/died 22nd Dec. 1961/aged 62 years/and his beloved wife/EVELYN LORRAINE TRAINER/died 13th Feb. 1995/aged 87 years. Added by Norman Macdonald on 26 July 2018. Added by Roddie Macpherson on 27 July 2018.